Marita`s kort : Waiting for the rain! I dag vil jeg vise et kort med motivet Waiting for the rain av Mo Manning. Et herlig motiv som jeg har fargelagt med copics. En sådan liten söting till tjej. MoManning har så ljuvliga stämplar. 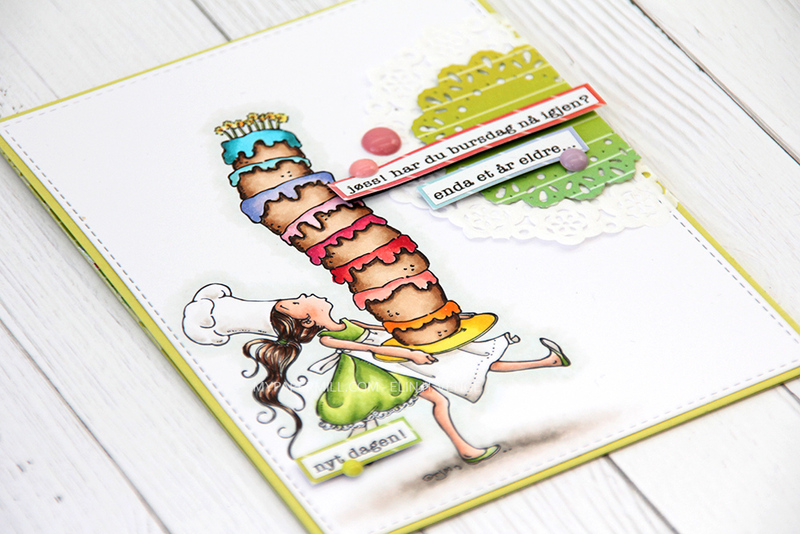 Love this pretty and sweet image, and the design of your card is wonderful ! This is adorable Marita. Your colouring is fantastic and I love the layout. Fabulous! Love the image and your wonderful colouring. Cute touch adding the clouds and umbrella. Tusen takk for at du deltar i utfordringen til Sketchy Colors! Lykke til! Ja dette motivet var helt hærlig og så fint fargelagt. Nydelige farger du har brukt. Wow another beauty! Love your shading and colour combo! So adorable! Love the sweet image and coloring. Gorgeous image and the card is beautifully made. Thank you for joining us over at Whoopsi Daisy this week. What a fabulous card for a child without embellies! A gorgeous card in a lovely design and an adorable image! She looks so sweet waiting for the rain. This is so so adorable inside and out. Formen begynner å bli bedre, heldigvis. Så nydelig kort. Motivet er så herlig. var veldig stilig med den paraplyen. Åh, så herlig kort Marita! Nydelige farger og så herlig motiv du har brukt!